Palm Trees are wonderful to paint in watercolor! They have layers of shadows and bright white highlights just made for the medium. The wind blows and shifts the leaves continuously. Sunsets reflect off their shiny leaves and they contrast beautifully with a bright blue sky. 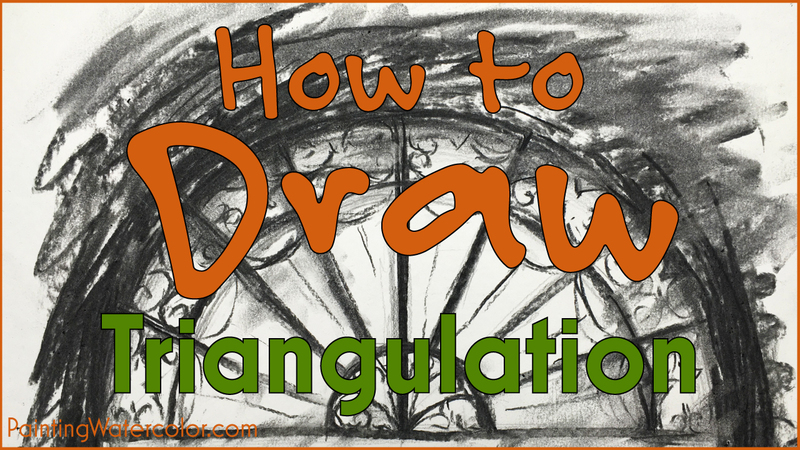 There are opportunities to negative paint, use wax crayon and just have some fun letting the colors dance! This painting is all about layers. 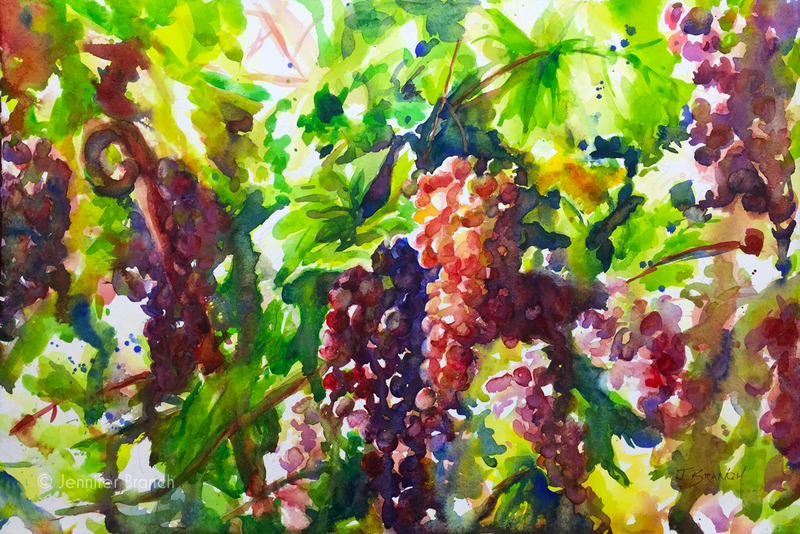 All of the palm fronds make wonderful shadows and highlights and the only way to capture this in watercolor is many washes, using negative painting and strong shadows. Let the painting dry in between each layer. The crisp edges of the palm leaves will show up as stark as they are in reality. If you decide to artistically blur them later, you always can. This painting is done from some photos taken in Charleston, SC. (I took so many photos that trip!) The greens of the palm are slightly dulled, it's barely the start of spring. It's a lovely crisp spring day on the Charleston waterfront watching the palm trees sway in the breeze! I can hear the papery crackle and feel the warm sky above as I paint. I start out by painting the midtones and shadows in a warm azo yellow. I've reserved some whites with wax crayon, but I'll reserve a few yellows after they've dried as well. I want this to be a very loose painting so I'm not using masking to reserve whites. I can always paint them back with gouache! Bleeding in quinacridone gold gives a lovely warm glow to the underpainting. I do a few touches of warm on the cooler palm tree trunk, but mostly the warmth is in the leaves. I paint the sky very loosely in ultramarine blue, cobalt blue and a few hints of cobalt teal. I start really piling on the darks here! Lots of rich (but not too heavy) ultramarine blue. Some burnt sienna warms up the shadows. Don't forget to negative paint! 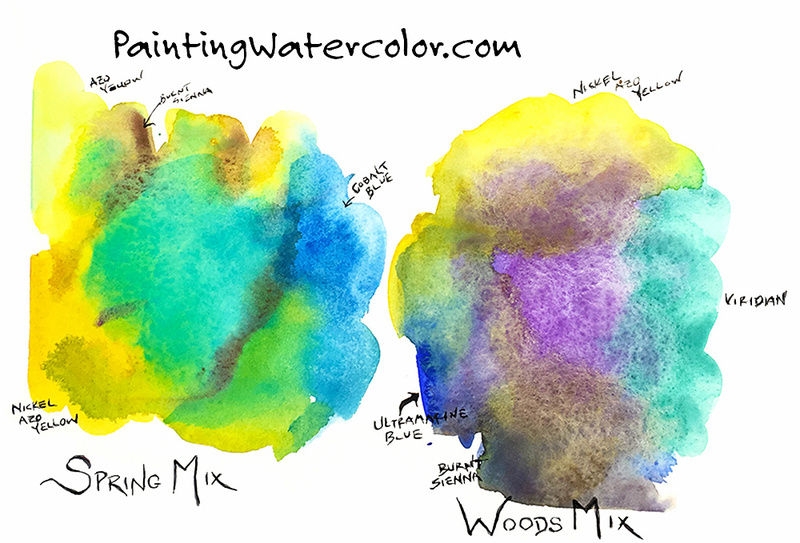 If an object looks layered, paint in multiple layers, drying between washes. A few greens (pthalo green mixed with azo yellow) to brighten everything up! I'm pulling out some details with burnt sienna. Some very strong darks start making the palm tree more 3 dimensional. The alternating bands of light and darks in the leaves feel like layers of palm fronds. Just a few dark dashes make all the difference in an object's shape. I've been wanting to paint the trunk. It's surprisingly cool with a few warm glows. It's difficult not to turn it into green. Of course the solution is layers! When the painting was almost finished, the sky just seemed too dull. I wanted a cool sky, but not that cool! It's not an overcast day, it's a warm sunny spring day in Charleston! A simple solution was a very pale pthalo blue and cobalt teal wash over the sky. Keeping this very pale makes it easier to paint well. 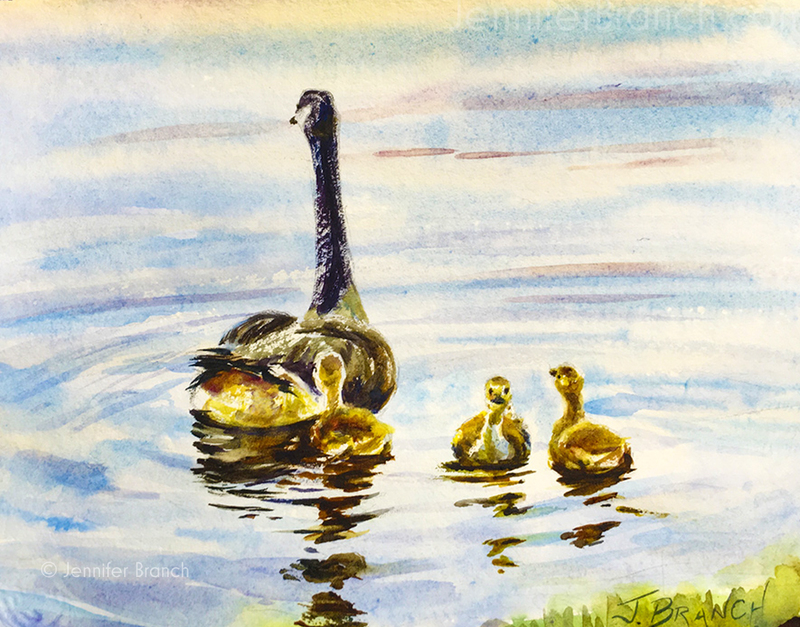 Don't forget to paint over the shadows but preserve the highlights. A pale wash is always a useful solution for making a painting feel like you want it to! 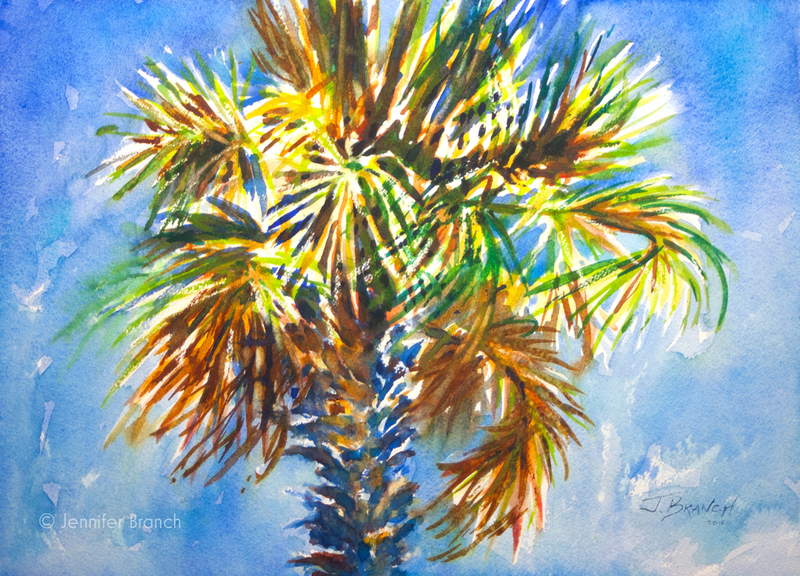 To purchase Charleston Palm Tree original watercolor painting, please click! Charleston Palm Tree Final Watercolor Painting! A palm tree against a bright blue sky - life doesn't get much better!